Fidel Castro has died. The cigar-puffing, fatigue-wearing Cuban revolutionary , who was a thorn in the side of countless American presidents, was 90. The news of Castro’s death is weird, because he’s one of those figures who seems like he should have been dead for a long time already. After all, this is a guy who first came to power when Dwight Eisenhower was President, TV was a new form of entertainment, and Chuck Berry and Elvis ruled the radio. 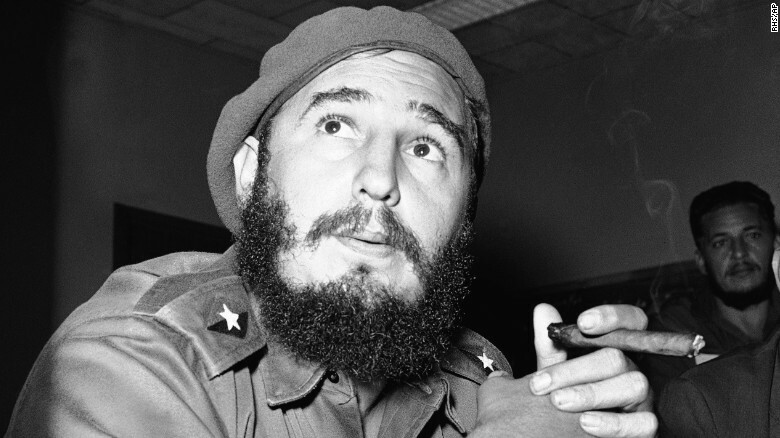 Castro became a geopolitical figure when he played a central role in the Kennedy Administration with the Bay of Pigs and the Cuban Missile Crisis. He seems like an anachronism from a long-dead era. There seems to be no middle ground when you are talking about Castro. He overthrew a corrupt and dictatorial regime, and some liberals tout some of his policies — such as the apparent quality and low cost of health care in Castro’s Cuba. During the tumultuous ’60s, at least, he and his cohort Che Guevara had some of that revolutionary cachet and radical chic. But Castro also was a died-in-the-wool communist, and there is no doubt that his regime was both brutal and repressive, clamping down on freedoms we take for granted and keeping Cuba in the dark ages economically. People who have visited Cuba since the American embargo has been eased describe a struggling, impoverished country that seems to have stopped its progress in the 1950s. Castro obviously was a significant historical figure, but how he will be perceived by history remains an open question. Some of that perception will depend on how Cuba fares, now that some semblance of normal relations with non-communist countries is likely, and some of it will depend on what we learn about the inner workings of the Castro regime, and just how cold-blooded and terrible it was. We’ve all heard about the Cuban Missile Crisis — the tense standoff in October 1962, when the United States and the Soviet Union seemed on the brink of nuclear war over Soviet missiles based in Cuba. It turns out that there was another very close call during those terrible Cold War days, when kids were trained to duck and cover, the U.S. and the U.S.S.R. kept nuclear aircraft in the air at all times, ready to respond to any attack, and nuclear annihilation seemed an ever-present threat. This particular near-miss happened in 1967 and hasn’t gotten any attention because everything occurred behind the scenes. It hasn’t been given a catchy, alliterative name like “Cuban Missile Crisis,” either. Let’s call it the Solar Flare-up of ’67. It happened on May 23, 1967. The sun emitted a solar flare so powerful that it knocked out the three U.S. Air Force’ ballistic missile Early Warning System radar sites in the northern hemisphere. The sites appeared to be jammed — which in those days was considered an act of war because it would be the first step in launching a preemptive nuclear strike. Reasoning that the Soviets were behind the jamming, Air Force personnel began readying the American nuclear arsenal for a countdown to a strike, too. At that point, fortunately, scientists and solar forecasters working at the North American Aerospace Defense Command figured out that the huge solar flare, and not the Russians, were responsible for the jamming. The news went up the command chain, and the American forces stood down. And, since the Soviet defense systems were presumably similarly affected by the solar flare, a similar scenario played out somewhere on the Russian side of the Iron Curtain. The Solar Flare-up of ’67 just reaffirms how improbable it was that the world made it through the hair-trigger period of the Cold War. If relations were on a hair-trigger basis such that even solar flares could plausibly spark a nuclear exchange, it’s amazing that some miscommunication or misguided leader didn’t send the world on the path to a radioactive holocaust. Yesterday Kish and I took the “Bunker Tour” at The Greenbrier. It was a fascinating 90 minutes. 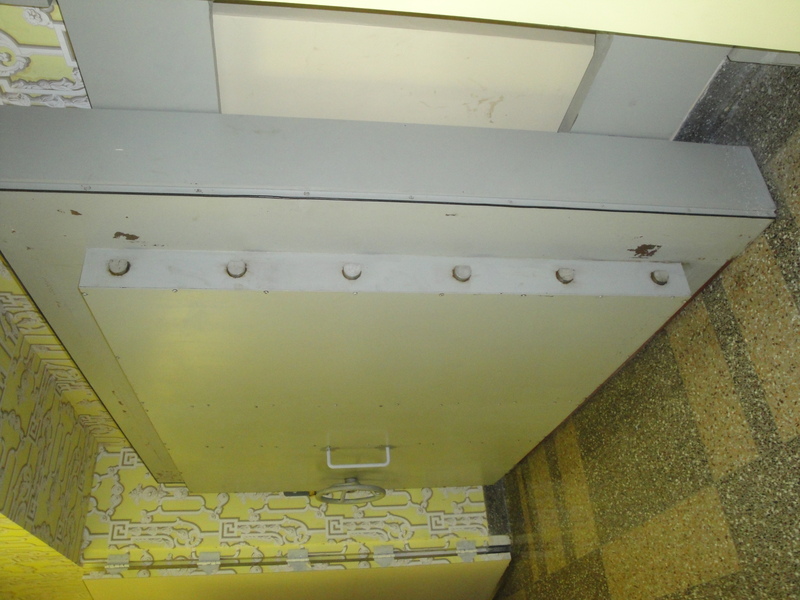 For those not familiar with the story, during the Cold War America decided to build an extensive fallout shelter for the legislative branch of government for use in the event that bombers from the Soviet Union dropped nuclear bombs on Washington, D.C. The concept was that after the Soviet bombers took off, members of Congress (and one trusted aide each) could be transported to the secure facility before the bombs fell and then would be safe to conduct the legislative business of the country for 60 days. The Bunker came on-line in 1962 — just in time for the Cuban Missile Crisis — and continued to operate as The Bunker until its existence was exposed in 1992. The Greenbrier was selected as the site because it was close enough to Washington, D.C. to allow for evacuation and the facility could be constructed in secret under the cover story that The Greenbrier was building a new wing — which is what happened. In fact, some of the parts of the Bunker — including the office space and the chambers where the Houses of Congress would meet — were hidden in plain sight and were routinely used by the public as an exhibit hall and a theatre. Those areas could have been secured by a huge nuclear blast door that was kept hidden behind garish wallpaper. 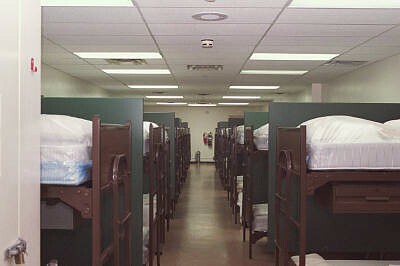 The rest of the bunker, which is now used as a highly secure data storage area by Fortune 500 companies, featured bunk bed dormitories, offices, kitchens, a radiation shower, redundant power and water systems, an incinerator, a medical facility, communications areas, and storage areas where food and medicine sufficient to keep more than 1000 people fed and healthy for 60 days was kept. Although the idea of The Bunker presupposed a horrific nuclear bomb exchange, there was something naively optimistic about the whole concept. The notion that our legislators would faithfully keep debating and legislating for 60 days, living cheerfully in military fatigues, eating C-rations, and sleeping communally in bunk beds while the nuclear winds raged outside is hard to understand now. Did they really think that, when they emerged, our country could continue as even a semblance of its former self — and that, if it could, the Members of Congress who led us to nuclear holocaust should be the ones to then lead the American survivors of the nuclear conflagration?